Where would we be without google? I can't even answer that question but I have compiled below a series of questions I feel more qualified to answer on the subject of writers. Let's do this! What do writers do all day? I googled this for you because I have no idea and it seems like a really important question. The consensus seems to be that writers do any of two things on any given day of the week: i) write and ii) internet. While the former is a silent activity sometimes you can tell how much is being done by how good or loud they are during the latter and I guess this leads us to the inevitable conclusion right here which is that Mia is clearly on number 2 of her list of activities as a writer right now. What do writers wear? Occasionally, I very much wish we had something similar to a quidditch uniform that we could put on an instantly recognise a team mate from across a crowded room. Mostly, however, I'm fine with the standard routine of just wearing clothes. Most people seem to be under the assumption we swan around without trousers as we sip on darjeeling tea. This is, of course, completely accurate. 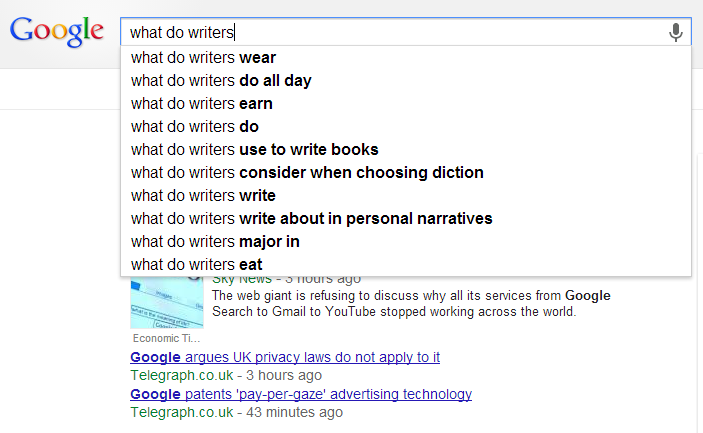 What do writers eat? Tricky, but good to get right if you're inviting a writer over for dinner. Heaven forbid they should have to stoop to gnawing on the edges of your favourite hardback whilst hidden in the back of your broom closet! Writers like books, so offer out a few of those for starters. High sugar treats are appreciated for when the caffeine runs out, also. What do writers use to write books? We use pens, and paper, and computer programs. Sometimes we use our heads, and sometimes we use our hearts, but always we use our words. What do writers major in? Writers major in life, with a side-helping of appreciating the wonder in everything they see. They major in reading all the things, and insecurity, and sending out letters to very nice people in literary agencies. Writers major in words, and how to get MS Word to do that fancy thing where it changes -- to — without additional keys. Writers major in the internet, and semi-colons, and wording perfect retorts twelve years after an insult was passed their way. Writers major in forgiveness, and thick skins, and holding themselves to impossible schedules. They major in adventure, and helping other people, and breaking new procrastination records. We major in everything. What did you major in? What do you do all day? Let us compile information!